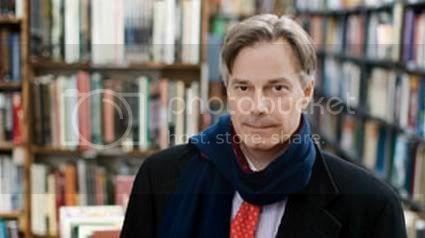 eFilmCritic - Interview: Whit Stillman on "Love & Friendship"
The acclaimed writer director talks about his latest project, the hilarious Jane Austen adaptation "Love & Friendship." One of the few bright spots in what has already proven to be a fairly dismal cinematic summer, the delightful "Love & Friendship" finds writer-director Whit Stillman, the maker of such wonderful films as "Metropolitan" (the 1990 debut film for which he received an Oscar nomination for Original Screenplay), "Barcelona," "The Last Days of Disco" and "Damsels in Distress," adapting an relatively obscure novella by Jane Austen set in the late 18th century about a widow (Kate Beckinsale in her best performance) with a colorful past who crashes at the estate of her in-laws while plotting to marry both herself and her daughter off in order to secure their futures. If you are thinking that this is another one of those stuffy period dramas that feels more like a museum piece than anything else, you should be aware that it is actually a wickedly funny comedy of manners that feels fresher and more vital than most contemporary stories to hit the big screen in recent memory. Happily, audiences seem to have been responding to its charms and, following a considerable expansion this past weekend, it seems poised to become one of the sleeper hits of the season. Recently, Stillman, whose first three films have just been released by Criterion in a Blu-Ray box set called "A Whit Stillman Trilogy," came to Chicago and I sat down with him to discuss "Love & Friendship," his long fascination with Jane Austen and revisiting his own cinematic legacy. By now, "Love & Friendship" should be playing at a theater reasonably near you and you should most definitely check it out. Jane Austen and her writings have been a cinematic interest of yours dating back to "Metropolitan" and with "Love & Friendship," you are officially adapting one of her works, albeit one of the more obscure ones. When did you first develop an interest in her books? How did the notion of filming "Love & Friendship" come about? During that long gap between the releases of "The Last Days of Disco" and "Damsels in Distress," a Jane Austen adaptation was rumored to have been among the projects that you were working on during that time. I had a serious project and I had a sort of a joke project - the eccentricity that I never talked about and that I never had a deal for as a film. It is odd that the one that didn't seem commercial became the movie in this case and that it actually seems to have a kind of commercial feel. This person I have worked with said "You have done these three films eccentrically and now you have to do things the industry way" but every time I have tried to do something the "industry way," nothing happened. What interested you about this particular novella, which was supposedly never completed and which was only published after her death? What interested me was that it was something that was not complete and where I would have to fill in the blanks. In this case, there was some really funny material and a lot of funny lines but it had a weird and incomplete format in this epistolary style that people find to be hard going now and probably did back then. This was a huge adaptation challenge because it is not like you can go to scenes where the characters are talking to each other in rooms - they are all people writing letters to each other who are far apart. You have to bring the characters together and reimagine everything so that they are having conversations and that the storyline is advancing in a different way. I created the character of Mrs. Cross so that information that Lady Susan would be writing to her friend, Alicia, and that she would be talking to Mrs. Cross about it. That is how this adaptation came about. In writing the adaptation, how difficult was it to find a way of blending your voice with Austen's into a unified whole? Surprisingly easy, I would say. The really different tone comes when the actor Tom Bennett comes into the film. He plays very well with another actor, Justin Edwards, who plays Charles Vernon. Both of those guys come from the world of British comedy and they are comic actors. My world and Jane Austen's world are pretty darn close in regards to many things and I was influenced by her in the beginning of my career, so to be able to actually work with her material was not that big of a distance. Many of the films that you have made have been set during the end days of a distinct period of time and it could be argued that "Love & Friendship" is a part of that in that it is based on a posthumous Jane Austen story. What is it about exploring the end of an era as opposed to its beginnings or heyday that you find interesting? There is one mythical thing about that that I would disagree with abut how it is all a nostalgic idea. I am not that way about the Cold War. Looking at the last decade of the Cold War is not the same as the others. This actually takes place at the beginning of an era because Jane Austen is regarded as a Regency novelist and this, from what we think based on what we know, was written mostly in an earlier period in the mid-1790s. There are different reasons for doing the last days of things. "The Last Days of Disco" was interesting for me because the fashions changed at the beginning of the Eighties and everything began looking better to me - it was a sharper and cooler period. Plus, by making it about the last days, we could get all of the music in because there were no songs that came out too late for us - anything from that period could be in the movie. With debutante parties, that is an era that is always dying and since we didn't really have the money to make it about a specific time period, it was kind of nice to be able to be a little vague. Therefore, on "Metropolitan," it says "Not so long ago" and we were shooting in the winter of 1988. Luckily, we found some checkered taxi cabs that looked very old-fashioned. Although some might think of "Loe & Friendship" as being your first period film, you have made several films that have been set in very distinctive eras, though obviously of a more recent vintage. As a filmmaker is it easier for you to recreate a period from long ago, as is the case here, or, as was the case with "Barcelona" or "The Last Days of Disco," one that many of your viewers may be more intimately familiar with from having lived through it themselves? This is easier, actually. It is counter-intuitive but it is easier going back to an earlier period than to have a precise recent period. It was also already set up where we shot it so we had the support of a lot of institutions for things like carriages and stuff. One of the most endearing aspects of the film is the way that it works both as a translation of Jane Austen's work and as a gentle spoof of the conventions of her works and, perhaps more significantly, the films that have been made from those books, especially in recent years. My feeling is that in just the past couple of years, there have been a couple of things that have had Jane Austen's name somewhere in the title but don't really have anything to do with her, particularly. I haven't seen them. . .
Like that "Pride & Prejudice & Zombies" crap. . .
Yeah, or "Austenland" - they don't have anything to do with Austen at all. They are just doing something else. That is kind of a false idea. I think the real Jane Austen Golden Age was in the 1990s. After "Metropolitan" came out, there were a number of films that were truly Austenian and many of them did very well - the one I particularly liked was "Sense and Sensibility." That was beautifully done. I sort of feel that is the romantic Jane Austen and I hope that ours will be considered the comic Jane Austen. I would prefer that we were the only thing and that there hadn't been these other things muddying the water but I really don't look at them as real Jane Austen projects. What was it like working with Kate Beckinsale and Chloe Savigny again nearly two decades after first collaborating with them on "The Last Days of Disco"? I had been in touch with Chloe since we did the commentary track for "The Last Days of Disco" together and I asked her very early on if should would play Alicia Johnson. She agreed and that was helpful for us when we announced her casting in terms of getting interest from foreign distributors. She also agreed to be in our pilot for "The Cosmopolitans" and we worked with her there as well. I always thought that Kate would be the best for Lady Susan but there were all these business barriers to having her come into the film. Finally, those were removed and she came into the film. We worked together and got along really well. They were super-professional and very well prepared actors and they are good people who live very good lives. They are stars without any of the nonsense. 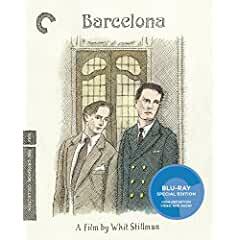 In addition to the release of "Love & Friendship," fans of your work can also enjoy the recently released box set of your first three films from Criterion that features the Blu-Ray debut of "Barcelona." When you look back on those films for things like video releases or retrospectives, is it easy for you to recognize and connect with the version of you who made them? There are some really good filmmakers who say that they cannot watch their films because they are so embarrassed by them and all that. If I am watching them with a group of people who are not liking them, then all I see is the stuff that is bad but generally, if I am watching them alone or with people who like them, I do enjoy seeing them. The one I really defend is "Damsels in Distress" because it got more knocks against it. I am really glad that "Disco" has been revised upward - it had people knocking it when it first came out. The editor who works on our projects know is from a younger generation and she says that among her age group, "Disco" has a very good reputation. I really enjoy all of these things. There was this great period after "Damsels" came out when there were all these retrospectives and film festivals. I feared that I was just the cheap date for a retrospective because there were only four films and one of them current - they could easily find three old films or slide a Blu-Ray into the projector and get off cheap. It was fun getting to do our cheap retrospectives. You mentioned "The Cosmopolitans," the show for Amazon that you did a pilot for a while ago. What is the current status of that project? Well, I have to write six scripts and I am really behind on that because I have been doing everything else. Do you see a situation in the future in which you would shift more fully into television? Yeah. If "The Cosmopolitans" goes ahead and they continue to want stuff, I would like to keep trying to produce it.